Want to deliver in St Loyes? There are leaflet delivery rounds in the St Loyes area available. Total leaflet distribution to letterboxes for St Loyes is 2432. Which areas are for me and how much will it cost? The ability to target down to street level allows you to get your leaflets to the homes and businesses you want them to be, without having to compromise on large amounts of unwanted areas. Want to find out where we can deliver? Try our leaflet calculator to see our huge choice of delivery areas and get an estimate on how much it will cost. 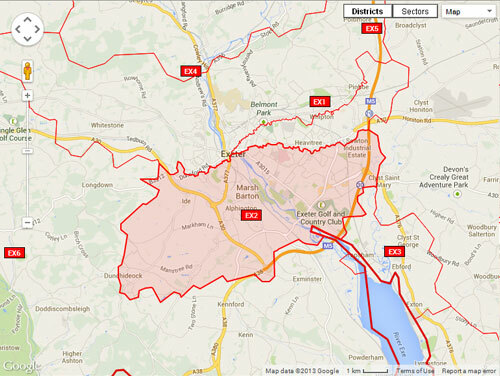 One Leaflet have been successfully delivering leaflets across Exeter large parts of Devon for over 10 years. We will ensure your campaign runs smoothly from start to finish. Our tried and trusted methods of distribution mean that we can give you peace of mind in knowing that your leaflets have been delivered safely. Our detailed distribution system allows you to target your leaflet campaign down to town, postcode or even street level based on your requirements. With distribution from just £25 + VAT per thousand leaflets, our fantastic rates offer great value to ensure you get the best response for your money.